This 3-page document is one in a series on communicating with policymakers and elected officials, and discusses strategies for meeting with elected officials. Written by Ricky Telg and Shelli Rampold and published by the UF/IFAS Department of Agricultural Education and Communication, January 2019. This 5-page document is one in the series Communicating with Elected Officials. It details a strategy for those seeking to engage with elected officials. Written by Ricky W. Telg and Shelli D. Rampold and published by the UF/IFAS Department of Agricultural Education and Communication, December 2018. Many organizations struggle with recruiting new members and retaining current members. The UF/IFAS PIE Center conducted membership surveys of the Florida Cattlemen’s Association and Florida CattleWomen to aid both groups in their membership efforts. This 3-page document discusses common membership barriers and practices in order to help agricultural organizations be better equipped to attract new members and keep current ones. Written by Ricky Telg and published by the UF/IFAS Department of Agricultural Education and Communication, March 2018. Due to the scarcity of water resources among states and the influx of people, balancing agriculture and public water needs has become a contentious issue. Therefore, dialogue msut take place to educate and inform the general public and local officials about the reality of agricultural water use. 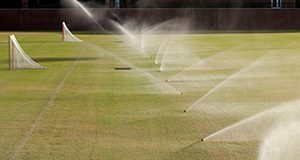 This is the second article in a series describing the differences in perceptions of agricultural water use in Florida between the general public and local officials. This four-page fact sheet identifies the differens among groups for agricultural water use and provides ways to change Extension programming according to these differences. Written by Courtney T. Owens, Alexa J. Lamm, and Ricky W. Telg and published by the Department of Agricultural Education and Communication. The use of water has become increasingly contentious because an increased population is sharing a decreasing amount of water. Water remains Florida’s most plentiful natural resource but is at risk as the agriculture industry and Floridians demand more water for a variety of uses. This four-page fact sheet discusses the media’s influence on perceptions of agricultural water use, the measurement of attitudes and perception towards agricultural water use, and ways to educate the general public and local officials on this issue. Written by Courtney T. Owens, Alexa J. Lamm, and Ricky W. Telg, and published by the Department of Agricultural Education and Communication. 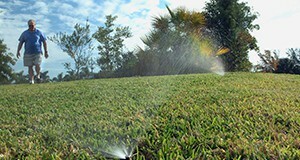 Water is a precious resource that is invaluable to the state of Florida. The amount of water being used daily in the state is estimated at 14.3 million gallons. 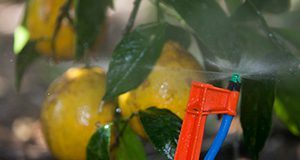 Part of a series dedicated to describing the preferred ways of learning about agricultural water use in Florida, this study can be used to assist Extension educators and the agricultural industry at large in the development of strategies meant to inform people about the realities of water use. This three-page fact sheet helps Extension educators understand preferred learning mediums so they can provide useful information about agricultural water use. Written by Courtney T. Owens, Alexa J. Lamm, and Ricky W. Telg and published by the Agricultural Education and Communication Department. 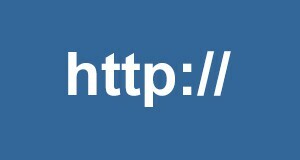 Knowing how to create and design a website is a valuable skill. This four-part series explains general tenants of good web design, covers the terminology and techniques involved in creating appealing, user-friendly websites, and also discusses basic HTML coding and developing visual elements for the web. Written by Ricky Telg, Laura Gorham, and Tracy Irani, and published by the UF Department of Agricultural Education and Communication, August 2015. 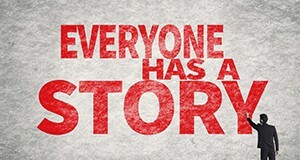 You and organization can use social media to tell you story and reach a large and diverse audience. 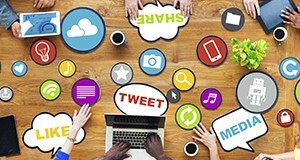 This 3-page factsheet covers the major social media platforms, what each platform offers, and how to use theme effectively. Written by Brandon Telg, Jaron Jones, Ricky Telg, and Becky Raulerson, and published by the UF Department of Agricultural Education and Communication Department, July 2015. In the agricultural industry, telling your story is critical for establishing your operation’s identity. Communicating face-to-face is one method of getting your message to the public. This 2-page fact sheet presents tips and strategies for delivering your story to a live audience. Written by Brandon Telg, Jaron Jones, and Ricky Telg, and published by the UF Department of Agricultural Education and Communication, July 2015. 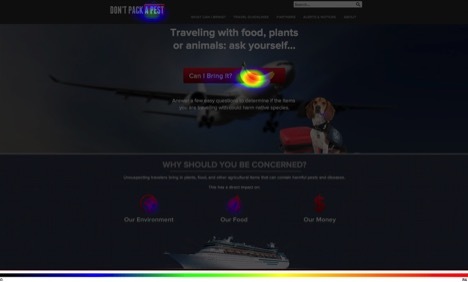 This heat map from a website usability test shows that more people click on the banana image than anywhere else on the computer screen, followed by the button at the top of the screenshot. This tool allows Extension faculty to determine the ease of respondent use of the communication material. This 6-page fact sheet explains how to use heat maps and how to develop heat map questions in Qualtrics. Written by Laura M. Gorham, Shuyang Qu, Ricky Telg, and Alexa Lamm, and published by the UF Department of Agricultural Education and Communication, February 2015. Creating a television or radio story is more than hitting “record” on a video camera or audio recorder. 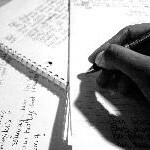 You have to learn the process of writing an effective television and radio news story first. This 4-page fact sheet was written by Ricky Telg, and published by the UF Department of Agricultural Education and Communication, January 2015. A good print news story will contain the following components: inverted pyramid structure, five Ws and H, leads, impersonal reporting, news writing techniques, quotations and attributions, Associated Press Style, and proper grammar and punctuation. This 5-page fact sheet was written by Ricky Telg, and published by the UF Department of Agricultural Education and Communication, January 2015. Knowing how to write in a news media style is important not only for an organization’s reporters, but also for its members. This 2-page fact sheet provides an overview of news writing for print, television, and radio to help you better communicate news about what is going on in your organization. Written by Ricky Telg, and published by the UF Department of Agricultural Education and Communication, January 2015. Think about a time when you wanted your parents to do something for you, such as buy you a special birthday gift, let you stay up late, or go out with your friends. Your attempts at persuasion probably focused on communicating specific reasons why your parents should take the action you wanted. Persuasion is a communication tool that can be adjusted to convince a single person, or to move an entire audience to a desired action. In this publication you will learn several techniques for persuasive communication. This 2-page fact sheet was written by Laura Gorham, Ricky Telg, and Tracy Irani, and published by the UF Department of Agricultural Education and Communication, July 2013.